Earlier this week we saw the Hybrid Metal Figuration AvP Wolf Predator from HEROCROSS. Now they have revealed another new figure from the Alien vs Predator films. 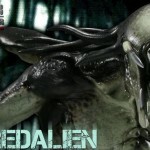 Check out the Hybrid Metal Figuration Predalien! 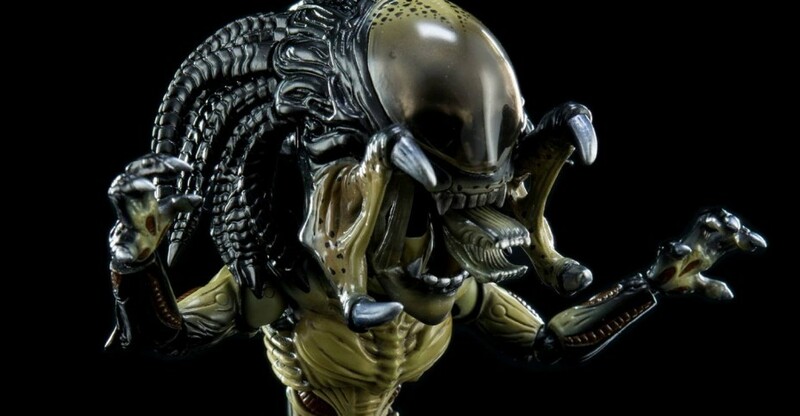 This 5.5″ figure features over 30 points of articulation, a working “shoot out” inner jaw, a closed Alien Egg and more. Those who pre-order direct from HEROCROSS will get an additional opened Alien Egg. It’s priced at $102 USD with a release set for the second quarter of 2016. You can pre-order the figure Here. Read on for additional details and plenty of photos. 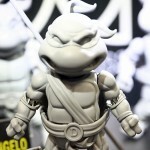 Hero Cross, Beast Kingdom and Kids Logic all make high end Super Deformed style collectibles, and all were on display at Toy Soul 2015. Hero Cross had a selection of Alien, Predator, Star Wars, Transformers, DC and new licenses for classic Disney and classic TMNT. Kids Logic had an ever growing line of Transformers products including Movie, G1, Combiners and micro offerings. Street Fighter was also shown in their unique style. They also had signage up in the booth hinting at the TMNT movie license. Beast Kingdom had Marvel and Star Wars in various flavors. Check some key shots after the break, and hit Toy People News for full sets from the show. 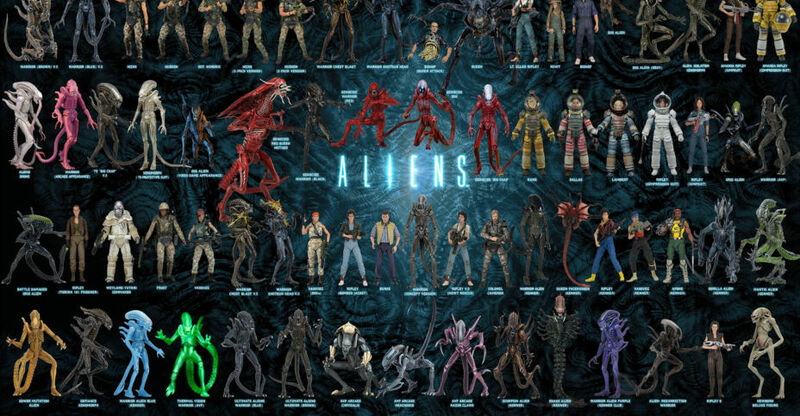 Sideshow Collectibles has updated their site with new listings and info for their Aliens and Predator items. Based on the battling foes in ‘Aliens VS Predator: Requiem’ these fearsome and adorable collectibles will be great additions to your sci-fi collection! Place your Pre-Order for the Alien, PredAlien and Predator Super Deformed Vinyl Figures through SideshowCollectibles.com before they begin their next battle! We know you’ve wanted a 360-degree gander at Sideshow Collectibles’ Queen Alien Diorama, so we’ve put that ability at your fingertips! Simply click on the Sideshow 360 option on the product page for the royal highness of the alien race, and you’ll be in the control seat to spin and zoom in on her. Additionally, this fantastic piece can be yours when you place your Pre-Order through the link below! Remember, FLEXPay is available for you to use when purchasing this collectible for your shelves! We have mirrored a ton of images. They can be seen by clicking the headline of the story. 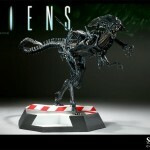 Sideshow Collectibles has put up some great new images of their upcoming Aliens VS. Predator PredAlien concept maquette. The maquette is listed at $199.99 and is scheduled to ship 2nd Quarter 2009. Sideshow is proud to partner with Amalgamated Dynamics Inc (ADI) to bring you the PredAlien Concept Maquette from the Aliens VS Predator: Requiem. ADI was challenged with designing this new character to fit in the Alien and Predator franchise, incorporating elements of both species and the creature’s reproductive abilities, creating several drafts of the PredAlien creature. Sideshow is pleased to bring collectors the unique opportunity to own an exact reproduction of this early concept maquette, showcasing the evolution of the creature’s original design. The PredAlien Concept Maquette is cast in high-quality polystone, hand-cast, hand-finished and hand-painted to exacting standards, then individually hand-numbered. The shipping cost will be calculated on dimensional weight rather than product weight for this item due to its oversized dimensions. We have mirrored the images. They can be seen by clicking the headline of the story. The product page can be seen Here. A little town in the hills of Colorado will become the battleground between two of the deadliest extra-terrestrial lifeforms, the Alien and the Predator. When a Predator scout ship crash-lands in the hills outside the town, Alien facehuggers are released in the crash, and an even more evil creature, a hybrid Alien/Predator is also created.